#1094 at North Freedom, April 2000. This car is actually of wooden construction, but with steel side sheathing. 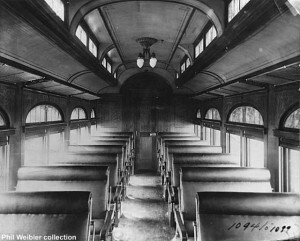 #1094 was built by American Car & Foundry in January 1906 as one of 22 cars built in three lots (numbered 1078-1099) as combination baggage-smoker passenger cars, a similar configuration to the C&NW #7409 at Mid-Continent. The car was originally fitted with Pintsch gas lighting and coal-fired Baker heater for heat. Cost of construction: $12,032.90. During the summer of 1927, #1094 received a major upgrade when a steel underframe and steel sheathing were applied at Rock Island’s Horton, Kansas car shop at a cost of some $5,200. Only 12 of the original 22 received this upgrade; the remainder were presumed retired by this date. 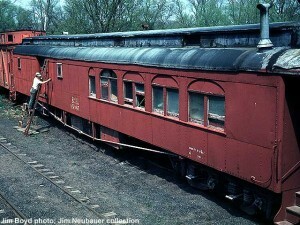 About 1936, the car received further modifications so that it could be used as a caboose in mixed train service (where passengers are carried in a coach coupled to a freight train). These included a new oil-fired stove and conversion of electric lights to oil (since no supply of electricity was available in mixed service). This made the car self-contained. In 1951, #1094 received one final shopping by the Rock Island. 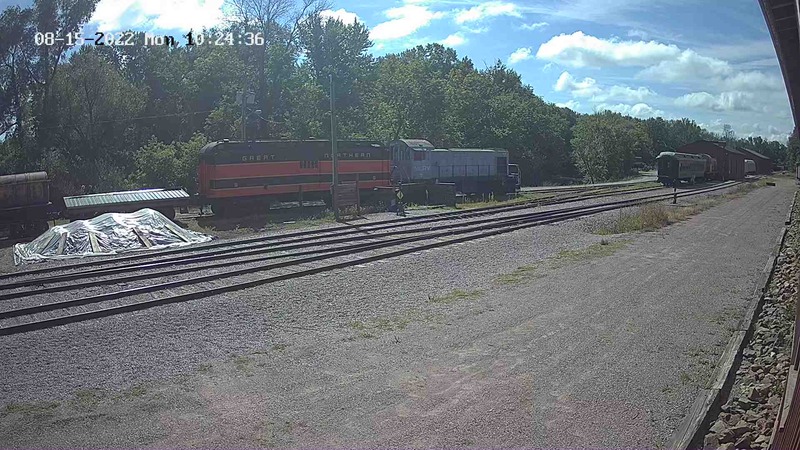 On November 12, work was completed at the Fairbury, Nebraska freight car repair track to convert #1094 to wrecker diner car #95065. 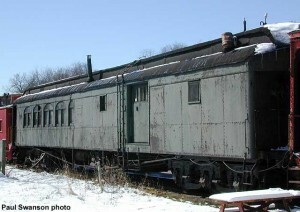 A wrecker diner/sleeping car usually traveled with a wrecker crane to provide sleeping and eating facilities for the traveling crews that worked with the wrecker. #95065’s exterior was painted in freight car red, and the interior passenger compartment was remodeled (the baggage room became the dining room, and the passenger compartment which formerly seated 38 patrons became the job conductor’s office and train crew sleeping area. By 1968, #95065 was put up for disposal by the Rock Island. 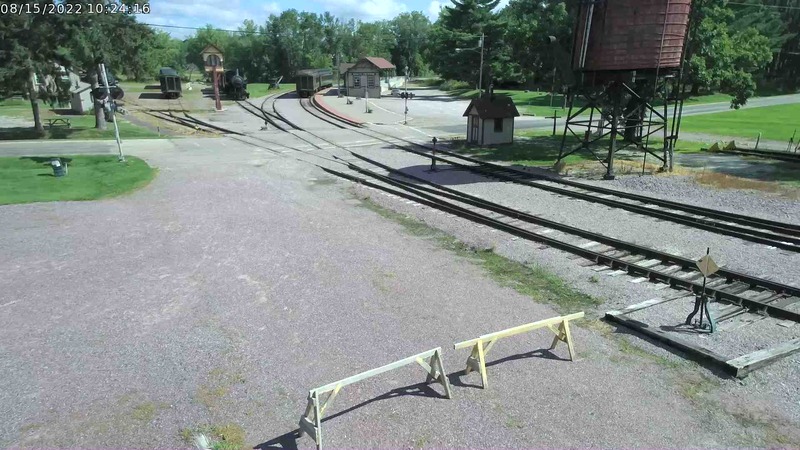 A Mid-Continent member bid $100 on the car, and it was accepted by the railroad. #95065 was shipped to North Freedom on its own wheels, arriving August 28, 1968. The car’s exterior has been repainted in Pullman green and relettered to its original as-built scheme. 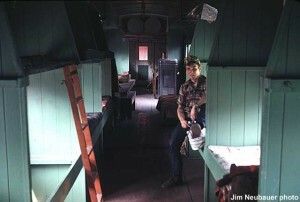 It is used as a bunk car by members staying at Mid-Continent for work sessions. The Chicago Rock Island & Pacific Railroad name was first incorporated in 1866 to consolidate several smaller lines running west from Chicago to Rock Island and Peoria, Illinois, and Iowa City and Muscatine, Iowa. Sister predecessor road Mississippi & Missouri was reached in 1856 at Davenport when the first railroad bridge to span the Mississippi River was completed. Although a first, it did not last long. One week later, the steamboat Effie Afton rammed a span and damaged the bridge. The steam navigation companies were suspected of sabotage as they considered the railroads direct competition. A legal fight ensued, with Abraham Lincoln represented the Rock Island, taking the case all the way to the Supreme Court, which decided for all time the rights of railroads to bridge navigable streams. The decision also changed the economic bias of the country from north-south along the river systems, to east-west via the railroad systems. From the 1870’s on, expansion was swift, and soon the system reached west to Denver and Minneapolis, and south to New Mexico, Dallas, and Memphis. In 1933, the company declared bankruptcy due to the depression and poor farming economy (its traffic base was largely agricultural). The railroad bounced back in the 1940’s. By 1964, it was the target of merger with other roads such as the C&NW and Milwaukee Road which dragged on in legal wrangling for over ten years. In 1979, the road struggled with several labor strikes, and shut down for good on March 31, 1980. Its rolling stock and track were sold off to other roads, and much of its 8,000 miles of track is still operated today.